Baspa is a tributary to Sutlej river. The Baspa River rises near the Indo-Tibetan border and is fed by perennial glaciers. 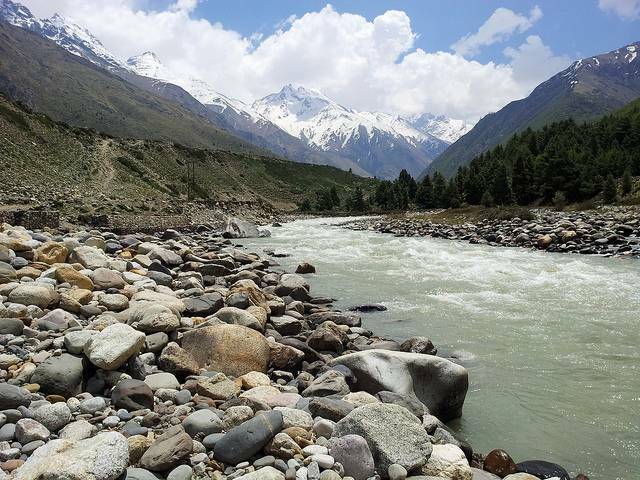 It forms the Baspa Valley or the Sangla Valley - one of the most scenic in Himalayas. The slopes near the river have pine and oak forests. There are several picturesque villages which lie in the vicinity, they include, Chitkul, Rakcham, etc. Angling enthusiasts can get to do Trout fishing here. Brown and Rainbow Trouts are found here in plenty. Best time for angling: April and October. Day permit needs to be obtained from the local authorities though.